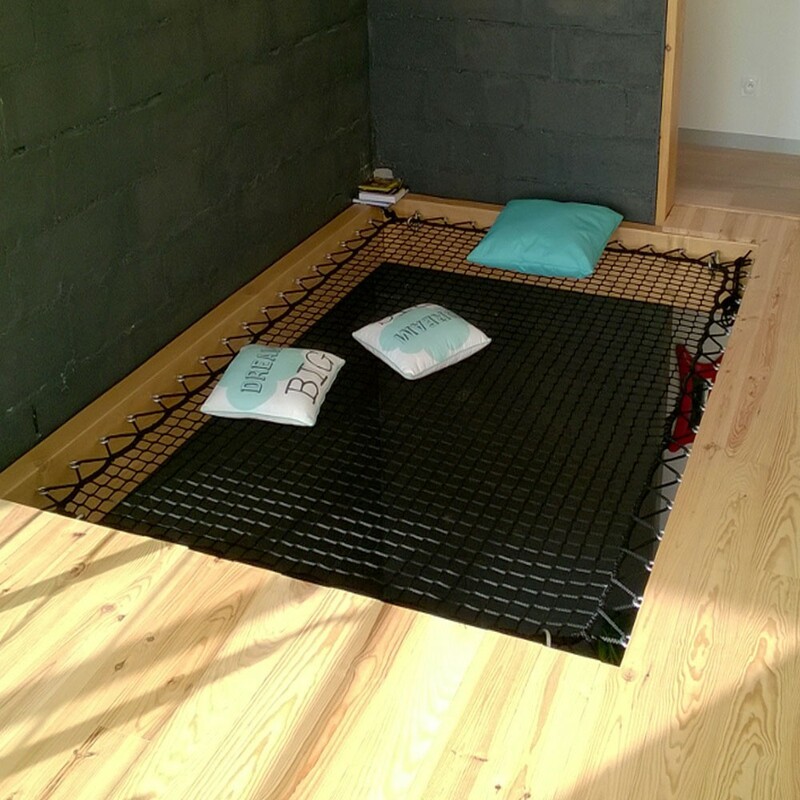 Ideal netting for installing a comfortable hammock floor while without cutting out natural light. 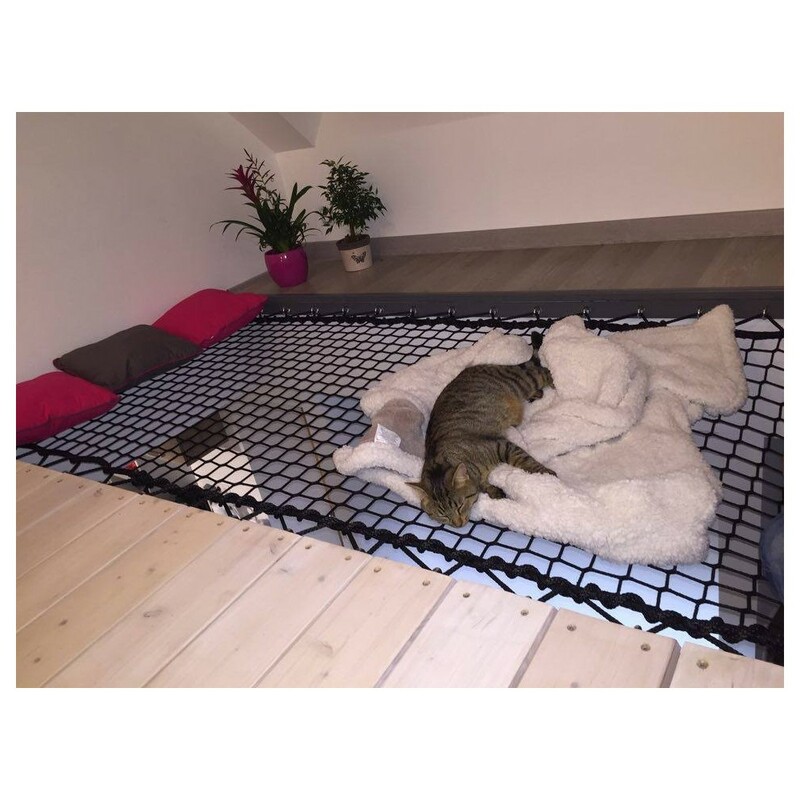 Very resistant and very comfortable, this 50 mm hammock floor netting is often used in a horizontal position to equip in indoor or outdoor relaxation spaces. 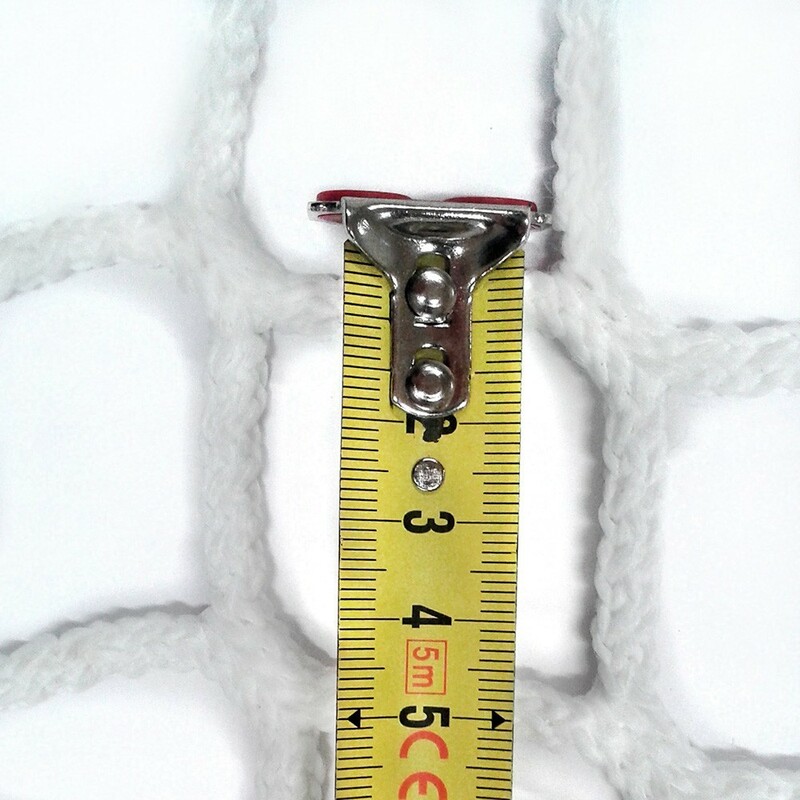 As with all of our netting, we estimate that a gap between 3 and 10 cm must be left between the net and the edge of the supporting structure. 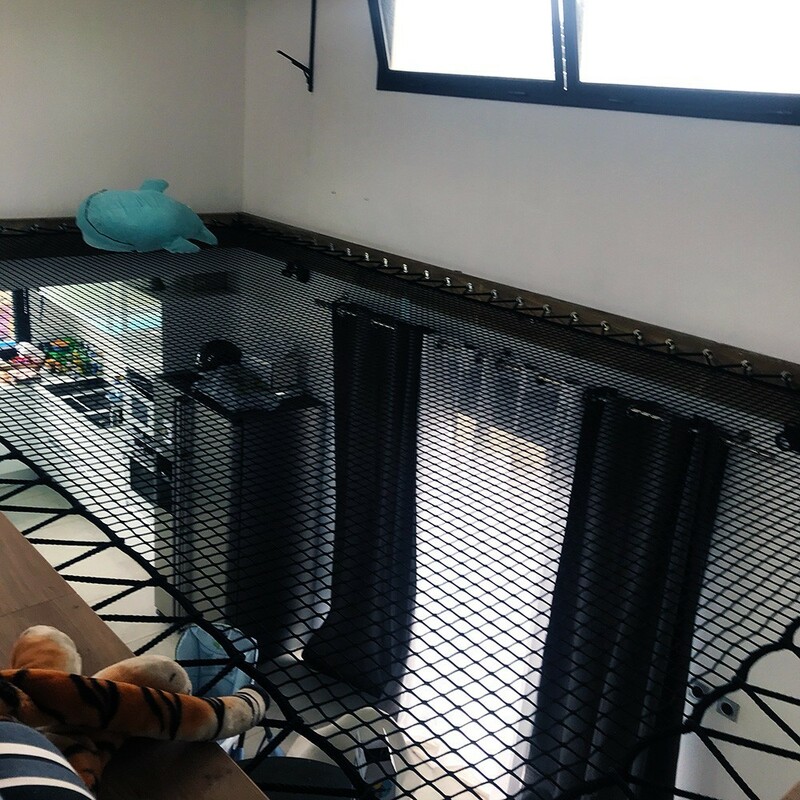 - Comfortable raschel knotless netting: ideal for lying down or to walk on. Knotless netting is soft to touch, a real strong point for creating a cosy space. 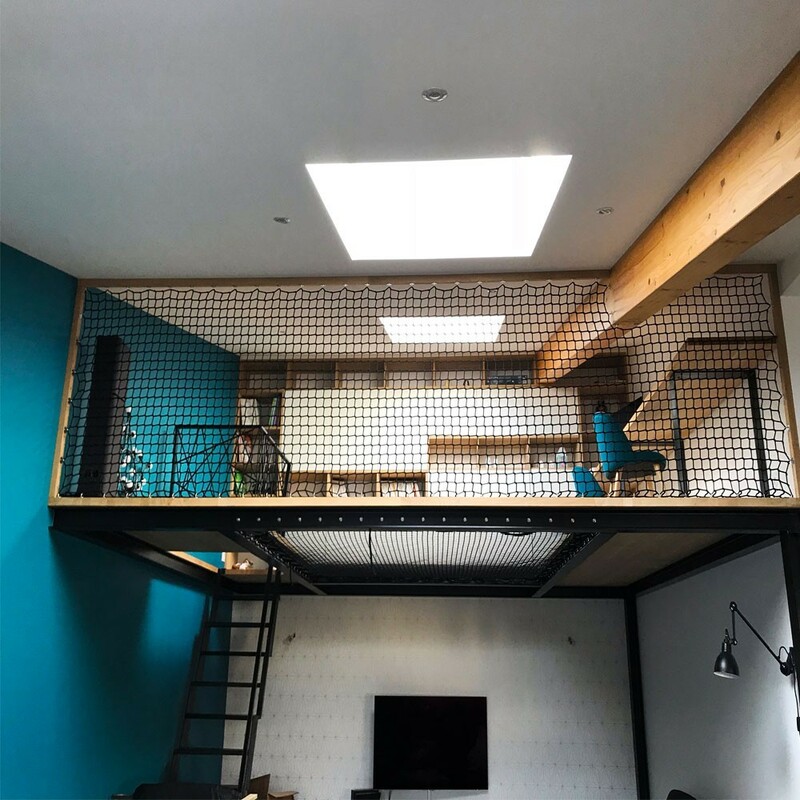 - 50 mm square netting: this widely spaced pattern helps maintain maximum luminosity and is ideal for those wishing to keep natural light. In contrast, this netting is less practical for younger children, as their small feet can get caught. 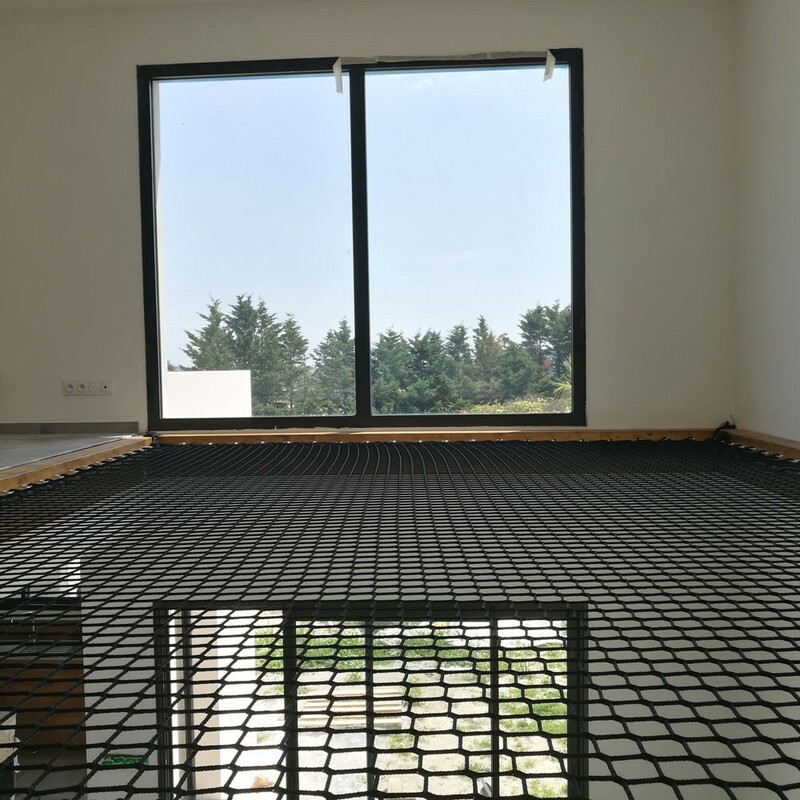 - 100 kg/sqm resistance: enjoy this hammock floor alone or with your family. 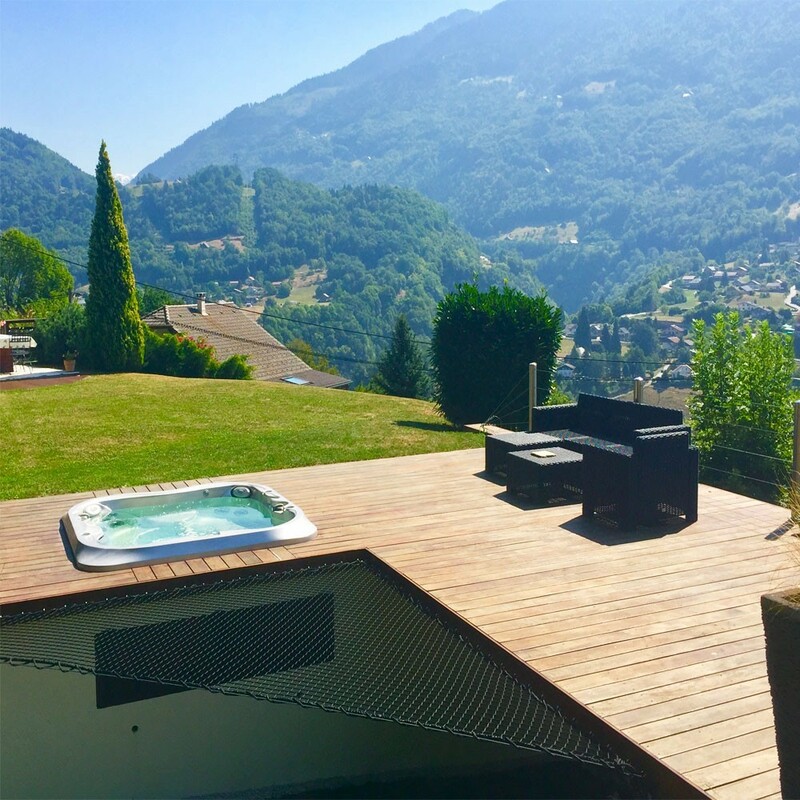 NO more than 400 kg for hammock floors over 4 sqm. - UV-light and mould-proof treatment:You can use this netting indoors or outdoors without worrying about deterioration. Our nets are also used on multihull catamarans. This hammock floor netting material is available in white. A manufacturing time of 3 – 4 weeks is necessary. With its 50-mm netting diameter, this net does not block any sunlight out of the home. Woven with a Ø6-mm thread, it remains very comfortable. This net may be positioned horizontally or vertically.